In addition to an increase in cultural tourism, Egypt has also actively promoted bathing / relaxation and active holidays over the past 20 years. The bathing resort of Hurghada, situated on the west coast of the Red Sea, was developed into a spacious paradise for holidaymakers and has also become one of Egypt’s most important sources of foreign currency. The region’s sprawling hotel complexes, most of which are a mere 5-20 km away from the centre of Hurghada, line up along the city’s beaches. Here, water forms the main attraction. Both water sports enthusiasts and sun worshippers are guaranteed to get their money’s worth. The Red Sea has a rich, colourful underwater world, including numerous coral reefs dotted with brightly coloured fish, which are easy to observe thanks to the clear water. It is a paradise for divers and surfers. 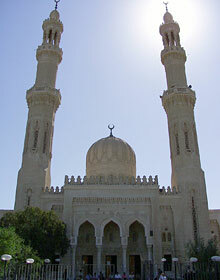 Various bars, restaurants and souvenir shops are located in the centre of Hurghada. 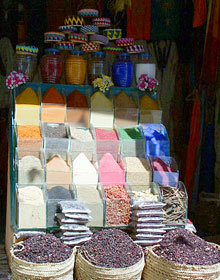 Visitors should also ensure they visit a traditional bazaar, where they can bask in the flair of the Orient. The hotel complexes host a range of evening entertainments for their guests.